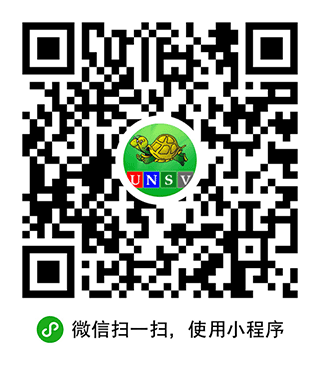 VOA Special English - How Did the Animals Cross the Road? 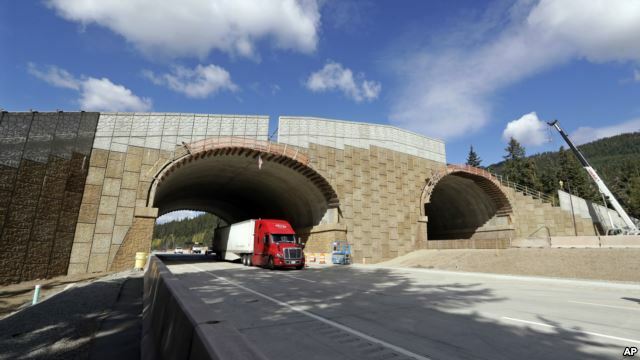 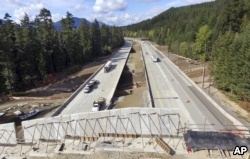 In this photo taken Oct. 4, 2018, Interstate 90 traffic passes under a wildlife bridge under construction on Snoqualmie Pass, Washington. 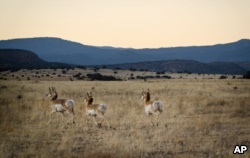 A group of pronghorn run across a meadow after being released on Forest Service land outside of Fort Stanton, near Capitan, New Mexico, Tuesday, Jan. 14, 2014.
highway - n. ​a main road that connects cities, towns, etc.